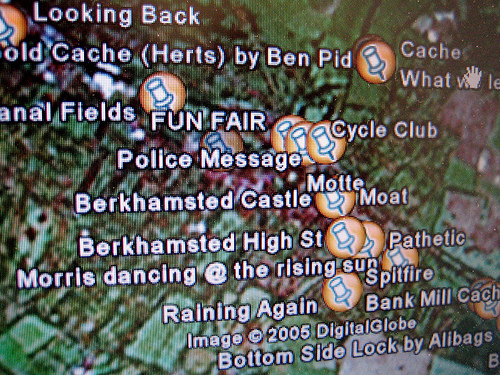 Inspired by Jonathan Marsh‘s kml file production from geocaching loc files, I had a bit of fun shoving some of my geotagged photos into a kml file and flying around my recent travels in Google Earth. It’s a bit of a one-off – I knifed and forked the data using a little pipe-line hackery and a bunch of ephemeral scripts. I guess I could build a nice packed solution for this workflow and share it with you all, but not having Google Earth on my Mac does knock the shine off, just a little bit. A Whatfettle article by Paul Downey published Tuesday, September 13th, 2005, at 5:27 pm under a Creative Commons License.